Business View Magazine interviews representatives from Tokai Carbon GE LLC, as part of our focus on best practices of American companies. 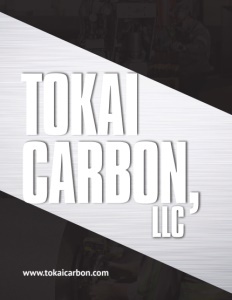 Tokai Carbon Co., Ltd. the parent company of Tokai Carbon GE LLC, based in Charlotte, North Carolina, was founded in 1918 and is headquartered in Tokyo, Japan. Tokai Carbon Co. manufactures and sells carbon-related products, including carbon black, which is used as a reinforcing agent of industrial rubber products; graphite electrodes for use in the electric arc furnaces that produce steel; and fine carbon products for use in the semiconductor, nonferrous metals, ceramics, and high precision machinery industries. Check out this handpicked feature on the Steel Erectors Association of America.